We offer a number of options, you can call us anytime on 0208 649 9988 or get a quote. Like all things in life, it’s worth bearing in mind that you get what you pay for. If that’s for you drop us a line on 0208 649 9988 or get a quote. That’s more like it – call now 0208 649 9988 or get a quote. Even though central London is one of the most congested areas, The Move Team makes sure that you receive the best service available that any commercial moving company can offer. Man and van service central London – we ensure you that your moving experience will be stress-free, pleasant and extremely efficient. We cover over 50 postal codes in central London, meaning there is virtually no area in London that we won’t extend our man and van services to. In West London and need a man and van service done? Then you have come to the right place! We will make a custom made quote for you that will feature our premium services with our expert staff. Servicing areas W1-W14, we cover a wide range of areas in west London. We provide man and van services all the way from S1 to N22 areas and Surrey areas. So no matter where you are in London or Surrey or where you are moving to, our quotes will still be cheaper than the rest! 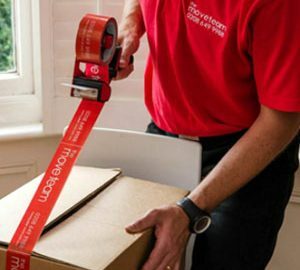 The Move Team are one of the best moving out companies in the UK.